Dave Ramsey is the king of finances; he knows his stuff. This post contains affiliate links, which means I may earn some money if you click on one. Read the full disclaimer here. Dave Ramsey has countless books that are best sellers, a website that offers free advice, and even a radio show where he talks to people about their finances. 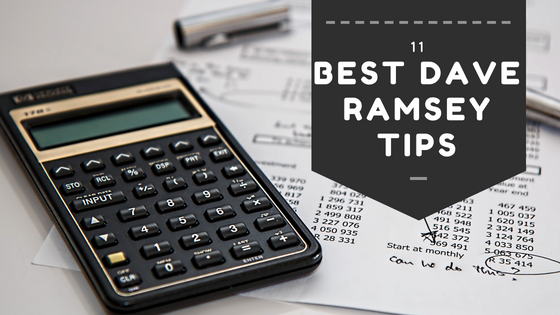 If you want to get your finances in order than you might benefit greatly from these Dave Ramsey tips below. We don’t have to live paycheck to paycheck or live in debt. With a little knowledge and guidance, you too can have financial freedom. Just because you have the means doesn’t mean you have to buy it. Consider living a more frugal lifestyle where you don’t buy everything within reach so that you have wealth later down the line. Make smart choices now for a more prosperous future. Dave Ramsey is a firm believer of living debt free. If you have debt, make it a priority to pay off, using his debt snowball method or baby step layout. Paying off debt will help teach you how to get that debt paid off and live a more relaxed lifestyle. Get rid of those credit cards and live within your means. When you put charges on your credit cards, it is so easy to snowball and get out of hand and begin living in debt. If you can’t afford it, don’t buy it. Cut up those credit cards and only live on the money you physically have. Make sure to slowly work towards an emergency fund. This is a way to have money saved back in case you get hurt or can’t work; you have money to pay all your monthly bills for an extended amount of time. Whether it be six months of savings or a year, you want each month to reach your income you make from working. Having an envelope system for expenses like groceries, household items, is a great way to monitor your money. Create an envelope with each area you want to allow money for. Then once the money in that envelope is gone, you are done spending until you get paid again. This is a great way to see first hand how much money you have available and it allows you to think before you buy. Make sure to sit down with your spouse and create a budget that you both stick with. When you are on the same page you will find better success in living on the budget you create for groceries, household goods, bills, and even extra money for things you might want not need. Each month try to set aside some money in case you run into an unexpected expense. Whether it be heading out to a fair, paying for a doctor visit, or whatever else. This is a great area in your budget to stash some money in case of a surprise. The best advice he can give is live on less than you make. That means don’t have all your bills add up to more than you make in a month. Leave money leftover at the end of each paycheck that you can stash back in savings, emergency fund, or somewhere else. Stop comparing what others have or how they live to you. Live your best life and be happy and content with the choices you make. Don’t allow other peoples lifestyle contradict yours and how or what you spend your money on. Always have some short term and long term financial goals you can work towards. 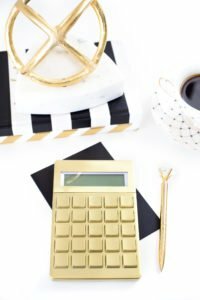 This will help keep you on track for your financial success. Whether it be paying off debt, saving up for a home, building an emergency fund, etc. Know that the first month or two of a budget will take some tweaking. If you are new to budgeting, you have to see what works and what doesn’t. Give yourself a grace period to work out any kinks and get things running smoothly in your budget. The first few things to start with are necessities: bills, food, fuel, and shelter. All other items can get added or taken away from your budget a lot easier. What Dave Ramsey tips do you love or live by?